Looking for a foreign exchange definition? Want to know what is forex trading? Foreign exchange – also known as forex or FX – is the conversion of one currency into another, or the global market in which currencies are traded. Trading foreign exchange is done at all levels, by central banks, high street banks, businesses and speculators. Without a foreign exchange mechanism in place it would be difficult to trade internationally. Where have you heard about foreign exchange? You hear about foreign exchange daily in the news, for example: whenever there’s an update of how much the pound is worth against the dollar or the euro. You can also see exchange rates on display in currency bureaux and banks. You’ll hear a lot about foreign exchange whenever there’s a big geopolitical upset. The morning after Britain voted to leave the EU, the pound plunged against both the US dollar and the euro. Since then, businesses often talk about the impact this has had on importing and exporting. Forex trading has become very popular in recent years, and you might well have seen books on the subject and asked yourself: what is forex trading, and could I do it? Let’s take a closer look now. Let’s start with some facts and figures. The global foreign exchange market is the world’s biggest and most liquid financial market. According to the Bank for International Settlements, trading in forex markets averaged $5.09 trillion a day in April 2016. This was up from $4.0 trillion in April 2010. The forex market is a decentralised, or over-the-counter (OTC), market. Its primary centres for trading are London, Paris, New York, Tokyo, Zurich, Frankfurt, Sydney and Singapore.In April 2010, trading in the UK accounted for 36.7% of the total, making it easily the biggest centre for forex trading in the world. Trading in the US accounted for 17.9% of the total, while Japan accounted for 6.2%. The forex market operates 24 hours a day, except at weekends, trading from 22:00 GMT on Sunday (Sydney) until 22:00 GMT Friday (New York). Transactions can be made for spot or forward delivery. We’ll explain those terms a little bit later. On the forex market one currency is always bought or sold in exchange for another. Forex is traded in currency pairs, which means that the value of one currency is compared to the value of another currency. In a currency pair, the base currency is the currency that you're looking to buy or sell, and the quote currency is the amount that one unit of base currency will cost you to buy. The US dollar is the most actively traded currency. The most common pairs are the dollar against the euro, pound sterling, Swiss franc and Japanese yen. If a trading pair doesn’t include the dollar, it’s known as a ‘cross’. The most widely traded crosses are the euro against the pound and yen. The forex market is divided into various levels of access, with the interbank foreign exchange market at the very top, accounting for about half of all transactions. This pre-eminent tier comprises the biggest commercial banks and securities dealers. Citi, JP Morgan and UBS were the top three currency traders according to percentage of overall volume in May 2016. Within the interbank market, spreads – the difference between the bid and ask prices – are ultra-sharp and unknown to outside players. Central banks are also highly influential players in the forex market, as they’re responsible for maintaining foreign reserve volumes and modifying monetary policy to achieve their economic goals. Central banks try to control the money supply, inflation and interest rates, and often have target rates for their currencies. They sometimes intervene to stabilise the market by using their forex reserves. Other forex market participants include smaller banks, multinational corporations, hedge funds, pension funds and other institutional investors. 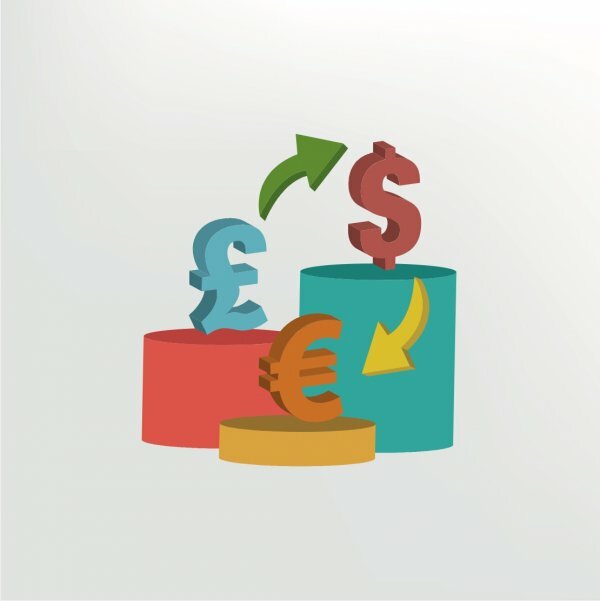 Businesses with international operations often use currency hedging, an investment strategy designed to minimise their exposure to potential losses from currency fluctuations. Individual speculative traders are also becoming a growing segment of the foreign exchange market, participating indirectly through brokers or banks. As well as dealing in physical currencies, some traders use derivatives, such as futures and options, to take a bet on which way they think the market is moving. Finally, non-bank foreign exchange companies provide currency exchange and international payments facilities to companies and individuals; and money transfer or remittance companies perform low-value transfers – usually by economic migrants to their home countries. Spot transactions: these are two-day delivery transactions that involve a direct exchange between two currencies. They’re a cash transaction rather than a contract, and no interest is charged. But forex brokers often charge clients a small ‘swap’ fee to roll over an expiring transaction into another identical transaction. Note that some trades – for example those between the US dollar and the Canadian dollar – settle the next business day rather than in two days’ time. Forward transactions: these are a common way to deal with foreign exchange risk and protect against sharp fluctuations in currencies. In forward transactions, the buyer and seller agree an exchange rate for a specified date in the future, and the money doesn’t change hands until then. A forward transaction can be for a few days, months or years. Futures: these are standardised forward contracts. They’re generally traded on an exchange, such as the Chicago Mercantile Exchange, and the average contract length is around three months. Currency futures contracts specify a standard volume of a currency to be exchanged on the settlement date, and the contracts usually include interest. Currency futures contracts are often used by multinational corporations to hedge their currency positions. Speculators use futures in the hope of profiting from predicted exchange rate movements.George Soros, one of the most famous currency speculators, earned $1.1 billion in less than a month by speculating on the decline of the British pound. We’ll conclude our forex definition with a look at some of the pros and cons of forex trading. On the plus side, forex trading can be an attractive pursuit because of its accessibility, high liquidity and round-the-clock schedule. Costs can be very low, as most forex brokers make their money from currency spreads rather than commissions. It’s possible to start forex trading with just a small amount of capital; and because the major currencies often see sharp fluctuations in value, profit-making opportunities are potentially enormous. There are plenty of different currency pairs to trade; the market is decentralised and deregulated; and it has the biggest number of participants of any financial market. Being open all day, the forex markets let you trade at your own convenience. But, of course, there are some disadvantages to forex trading too. Exchange rates are often influenced by political or economic events that can be hard to predict and complex to analyse. The potential for making serious losses is very great, because forex markets allow leverage of 50:1. And, whereas in the stock market a trader can get professional help from trade advisers and portfolio managers, a forex trader is left to his or her own devices, with little or no support. Forex trading therefore requires great perseverance and disciplined learning, as well as strong nerves. If you’d like to explore this subject more closely now you’ve read our forex definition, why not take a look at some other related definitions in our comprehensive online glossary. We define currency, currency pair, hedge, trade, and many more key terms of interest to a prospective forex trader. As well as our own forex definition, there are lots of online resources available to help you learn more about forex trading. FX Academy, for example, offers a video tutorial, some additional reading and a lesson quiz. The growing popularity of online forex trading has led to a huge number of books on the subject being published every year. Masslib.net has put together a list of its five favourite forex trading books and you can also take a look at what’s currently selling well on Amazon in this field.